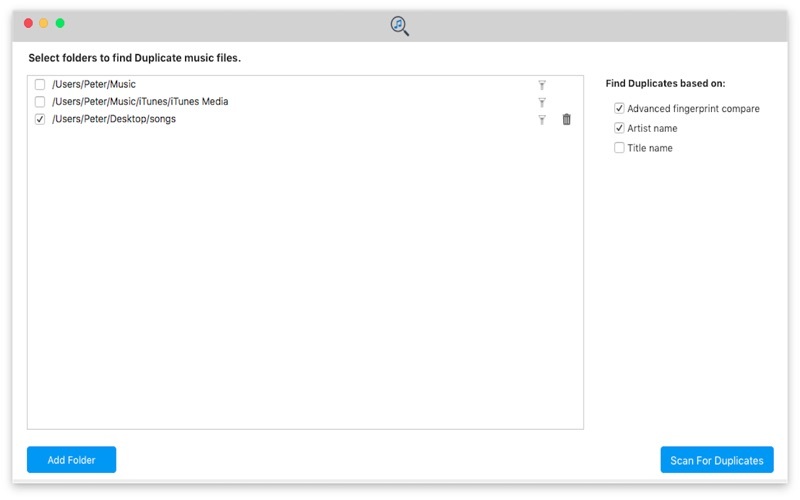 Duplicate Music Cleaner is a powerful duplicate finder tool that will scan your hard drive for audio files and delete repeated files. It is possible to review scan results and auto mark duplicate files according to options provided. 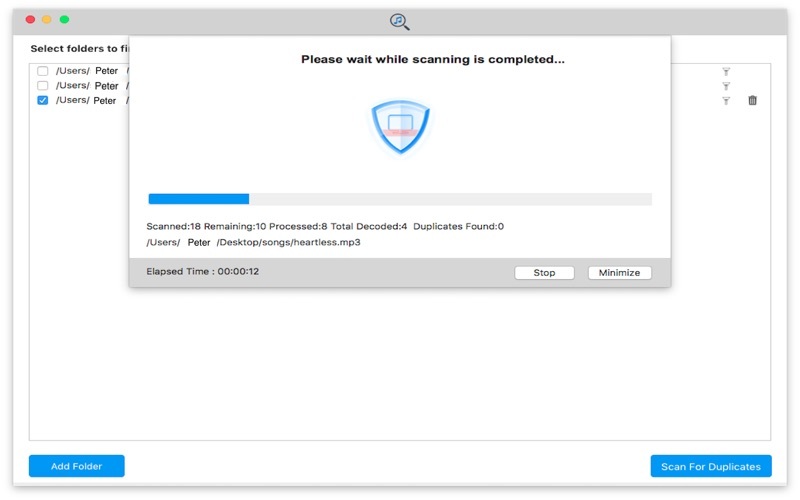 *Duplicate Music Cleaner uses most powerful audio matching algorithm to provide faster and best output. 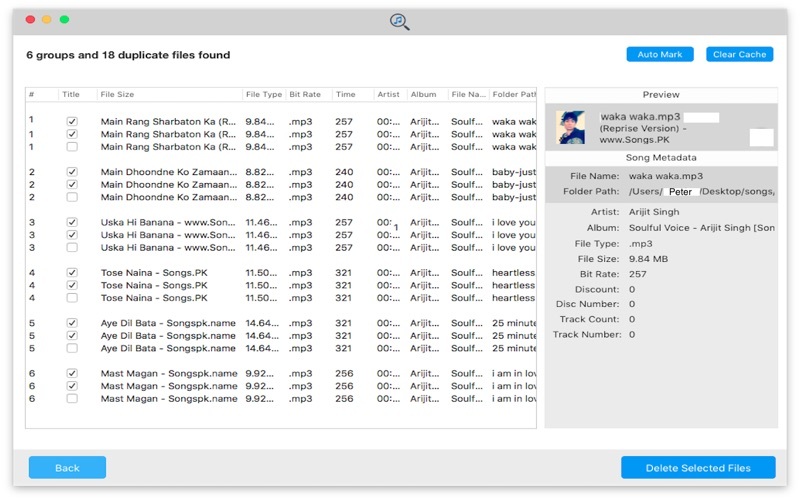 *The Auto-mark feature helps you filter out the best file out of the duplicates automatically without any manual effort. *Dozens of music file format supported. *Very easy to use and user friendly tool. * Helps you recover disk space.